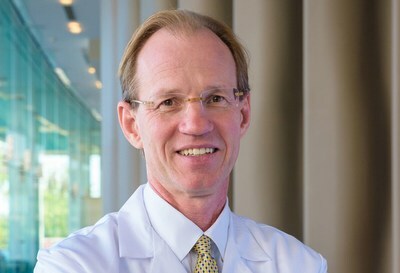 MANHASSET, N.Y., April 10, 2019 /PRNewswire/ — The US Department of Health & Human Services Agency for Healthcare Research and Quality (AHRQ) has awarded Thomas G. McGinn, MD, MPH, with a three-year, $1.14 million grant for a clinical decision support (CDS) system that reduces frontline providers’ complications and frustrations. While clinical decision support has been widely available for years, healthcare providers have not adopted it widely because the systems are unwieldy and time-consuming for practitioners who are trying to access personalized clinical information and guidance in the real-time setting of patient encounters. For more than a decade, Dr. McGinn, Feinstein Institute for Medical Research professor and Northwell Health senior vice president and deputy physician-in-chief, and his team at the Feinstein Institute’s Center for Health Innovations and Outcomes Research (CHIOR) have been studying, testing, and disseminating CDS in electronic health records. They focus on clinical prediction rules (CPRs), a form of CDS that uses a variety of data, mechanisms, and patient-specific information to calculate patient-specific probabilities. CPRs increase diagnostic accuracy, reduce unnecessary testing and treatment, and enhance quality and safety. To date, however, critical variations in electronic health record systems between and even within institutions have severely limited dissemination of CDS and its adoption into provider workflow. The CDS system under development by CHIOR builds on widely validated CPRs for detecting blood clots in the lungs and for bleeding risk in hospitalized patients. The system’s ability to impact care in emergency medicine and inpatient medical care settings will be assessed. In December 2018, Safiya Richardson, MD, MPH, an assistant professor at the Zucker School of Medicine at Hofstra/Northwell and junior faculty researcher at the Feinstein Institute mentored by Dr. McGinn at CHIOR, was awarded a five-year grant from the National Institutes of Health to support her work in creating tools that help doctors make evidence-based clinical decisions. In the project’s initial phase, Dr. Richardson will develop tool prototypes and test these with doctors. Dr. McGinn will be working closely with his co-investigators, including Sundas Khan, MD, administrative manager for research, and Jeffrey Solomon, Northwell’s director of project clinical information systems. Northwell’s key internal collaborators will include Michael Oppenheim, MD, VP and chief medical information officer, and John Chelico, MD, chief research information officer. This project is funded under grant number R18 HS 026196 from the Agency for Healthcare Research and Quality (AHRQ), US Department of Health and Human Services. The research arm of Northwell Health, the Feinstein Institute is home to 50 research laboratories and to clinical research throughout dozens of hospitals and outpatient facilities. Its 4,000 researchers and staff are making breakthroughs in molecular medicine, genetics, oncology, brain research, mental health, autoimmunity, and bioelectronic medicine – a new field of science that has the potential to revolutionize medicine. For more information about how we empower imagination and pioneer discovery, visit FeinsteinInstitute.org. Northwell Health is New York State’s largest healthcare provider and private employer, with 23 hospitals, nearly 700 outpatient facilities, and almost 15,000 affiliated physicians. We care for over two million people annually in the New York metro area and beyond, thanks to philanthropic support from our communities. Our 68,000 employees include more than 16,000 nurses and 4,000 employed doctors. In addition to making breakthroughs in medicine at the Feinstein Institute for Medical Research, we’re training the next generation of medical professionals at the visionary Donald and Barbara Zucker School of Medicine at Hofstra/Northwell and the Hofstra Northwell School of Graduate Nursing and Physician Assistant Studies. For information on our more than 100 medical specialties, visit Northwell.edu.